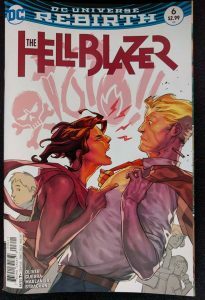 I recently inked Pia Guerra’s pencils for Hellblazer #6! It was just like the old Y: The Last Man days! The script was by Simon Oliver. “Where is the Vertigo logo!?! ?” She asked nicely.